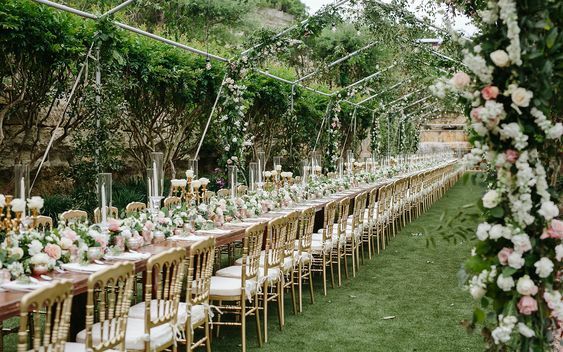 For wedding florals that really wow, you’re going to want the best advice you can get! 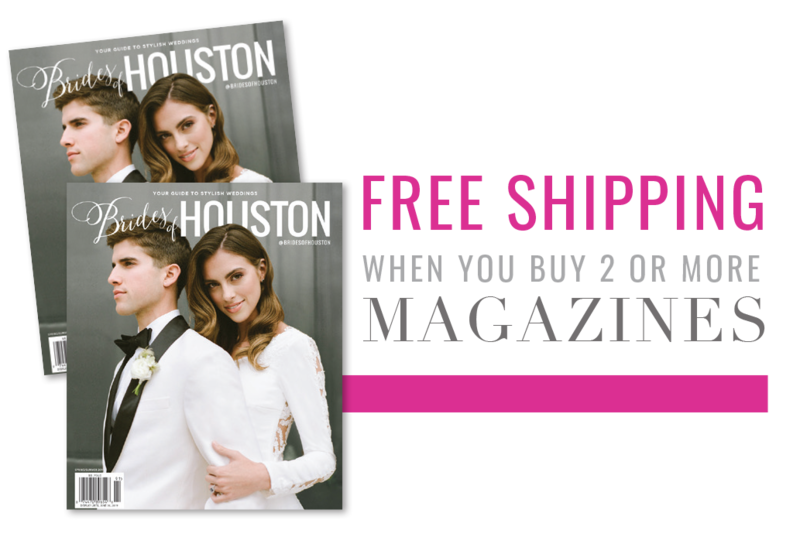 Local Houston wedding florist, Sheli Hart of Flora & Eventi, is sharing her expertise with us today, and we can’t wait for you to read! Keep scrolling to get some fun ideas on where and how to incorporate dreamy florals into your wedding day decor. Enjoy! What’s the most exciting way you’ve seen florals incorporated in a wedding? I think florals are always exciting and can be such a huge part of a wedding – in a big or small way! They create so much dimension, texture and color to enlighten a space and/or esthetic. I love sprucing up a place setting with a subtle bloom or touch of greenery that ties into the look and feel of the wedding, or maybe even something that has a significance to the couple in some way. On the grander side of things, suspended floral is always exciting! It creates such a significance in the room and really amplifies the overall look of the decor. We find floral to be more exciting when it has a true purpose. 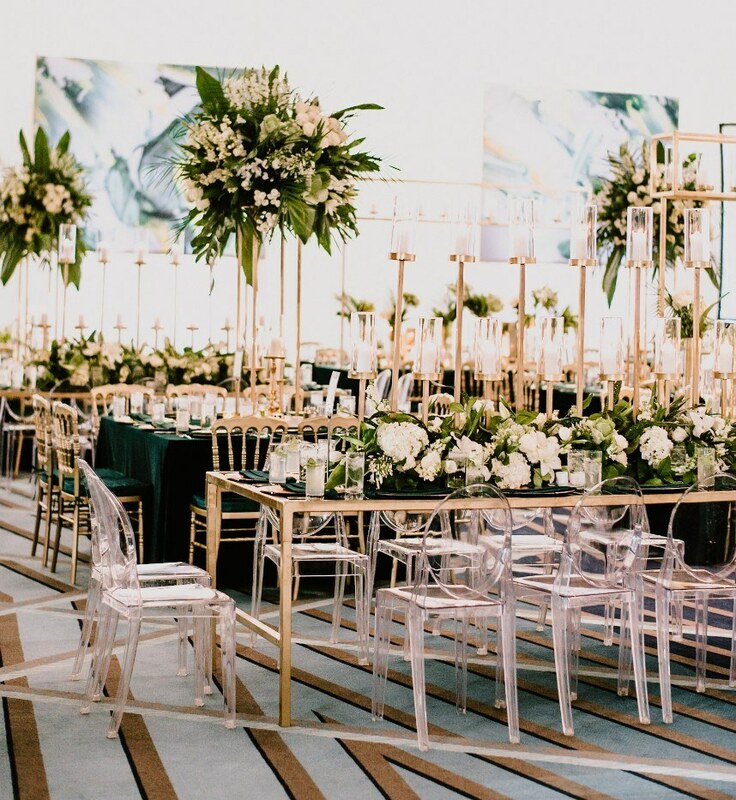 What should a couple consider when selecting their florals? It’s important to remember that your floral is telling a story. It’s a supporting element of all the other details that are being used in your decor. While it’s important to utilize floral that is favored by the client, it is even more important to let your florist or event designer guide you toward things that make sense with the overall look. It can be more important to focus on the combination of floral/greenery in regards to the texture, dimension and colors that one is trying to achieve rather than looking at each element of floral individually. What florals do you foresee trending in 2019? We definitely see the trend of keeping things manicured and architectural staying around for a while. We have really enjoyed clients welcoming something less traditional when it comes to floral – something that allows true artistry among the designs and very intentional usage. Tell us about your favorite bloom! Special thanks to Sheli for sharing her advice with us today! To get in touch with Flora & Eventi, you can message her directly via her Brides of Houston profile here.